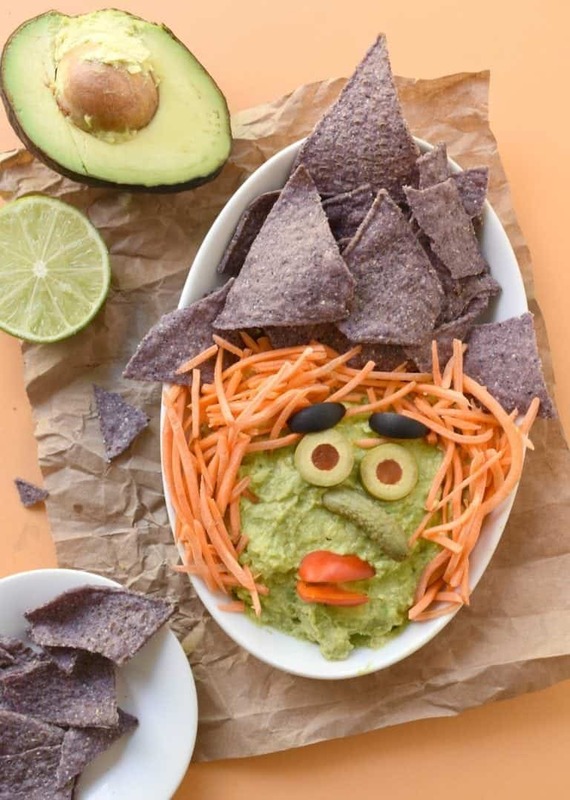 Looking for something healthy to make this Halloween? 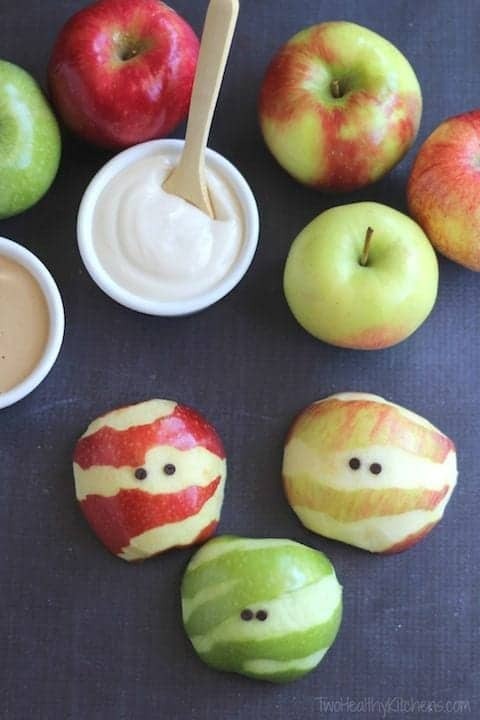 Whip up one of these delicious, fun and spooktacular healthy Halloween treats and snacks! When I was little, trick or treating was one of my favorite things. I wasn't into the costumes, but the candy? Bring it on! Like every kid, we'd hoard as much as we could, overindulge, get stomach aches. You know the drill. It wasn't super good for us, but boy was it fun! Nowadays, you won't find me eating a ton of candy, but that doesn't mean I don't still celebrate! 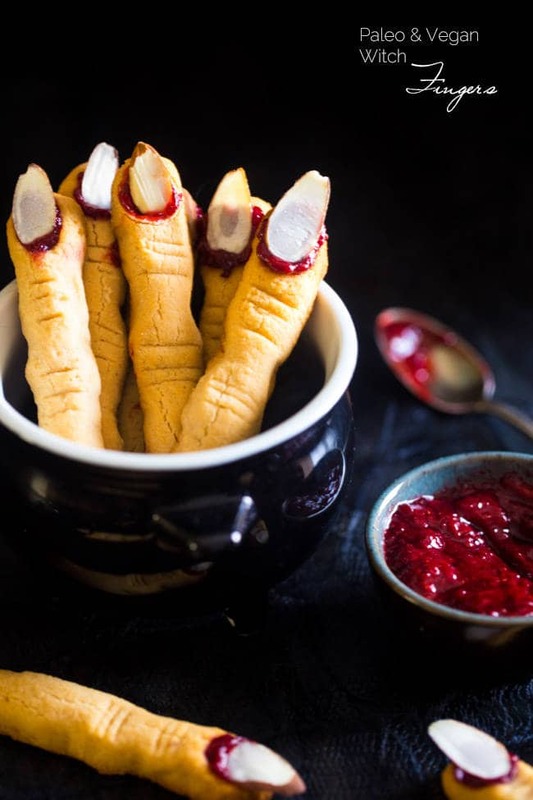 I still enjoy Halloween just as much as when I was a kid, but now it gives me an excuse to make fun, creative (and yes, healthy) treats. Today I'm going to share three of my must-try treats, as well as give you a few other recipes for inspiration! 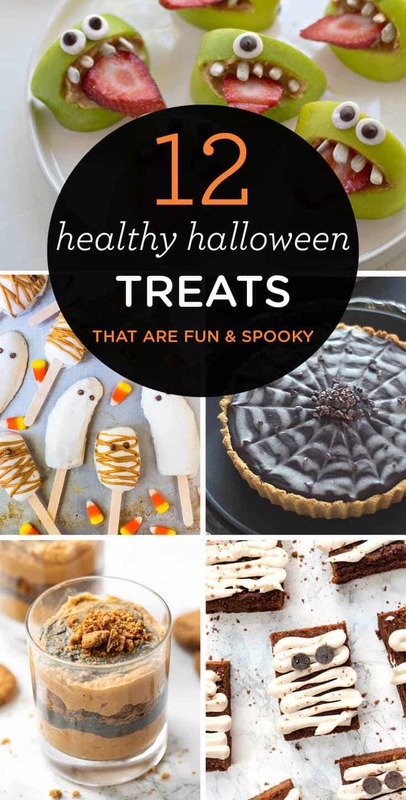 No matter what you're planning for Halloween this year, there's something for everyone on this list! 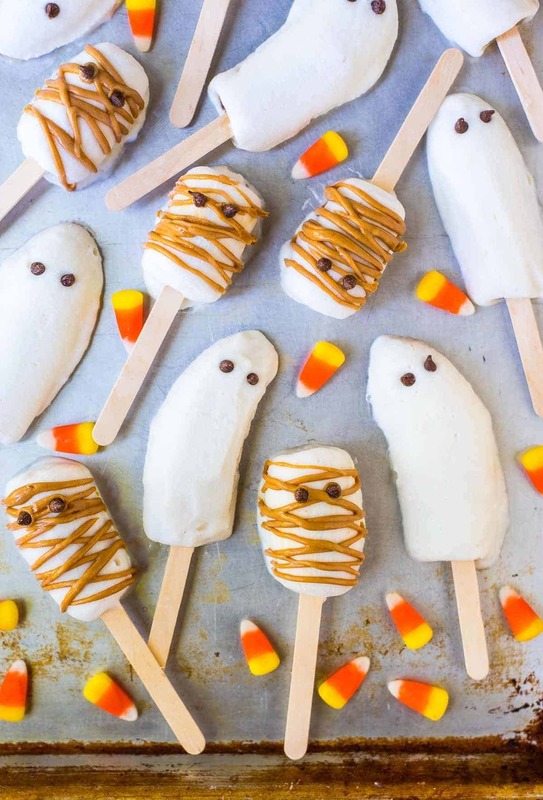 First, we'll be whipping up some fun mummy pumpkin bars. They taste like pumpkin pie but are a topped with a delicious (and simple) vegan cream cheese frosting. 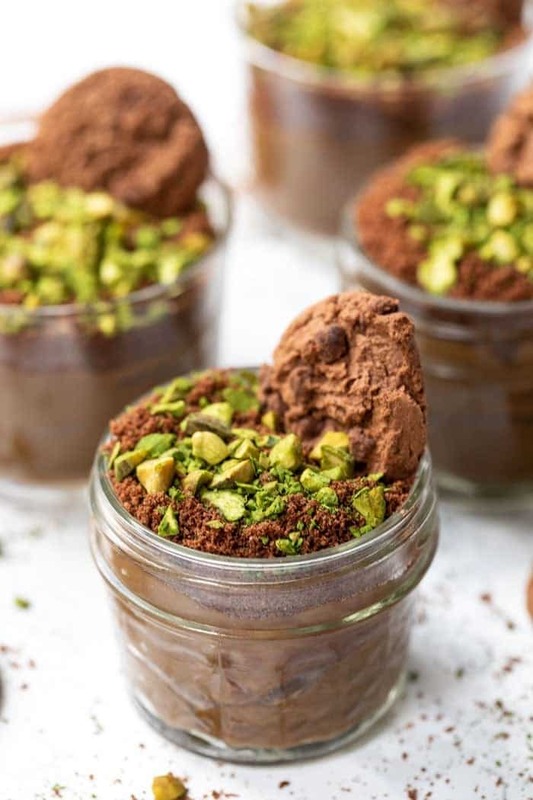 Next, we'll make some chocolate dirt cups using a creamy chocolate avocado mousse and some cookie crumbles. I saw this concept years ago and I think they're so fun, and perfect for a crowd and/or party favors. 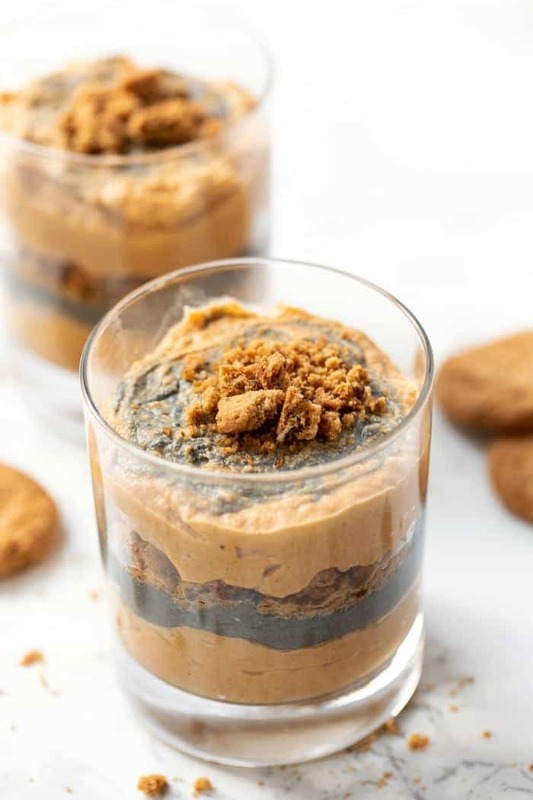 Our third is a no-bake, vegan pumpkin cheesecake parfait with three amazing layers. First is a creamy pumpkin cheesecake, then a “black” yogurt and finally some more cookie crumbles. And the rest are a mix of sweet and savory goodies! 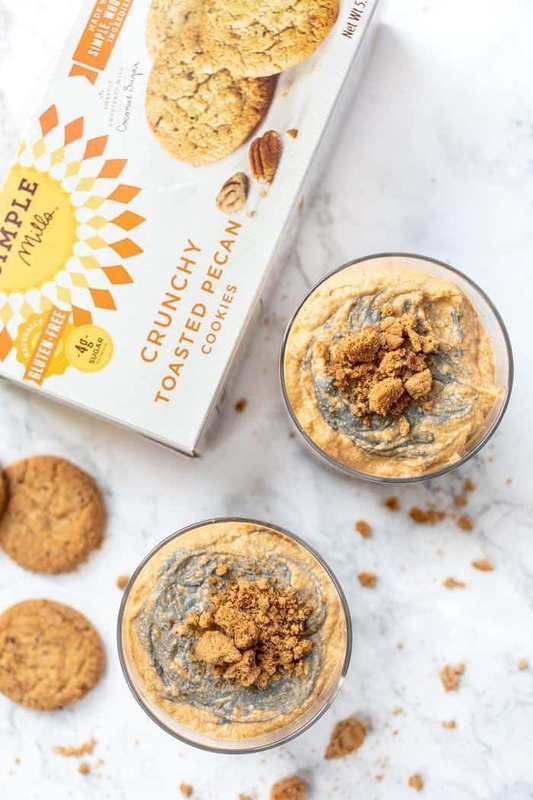 To help us make these healthy little treats, I'm super excited to partner with my friends at Simple Mills. 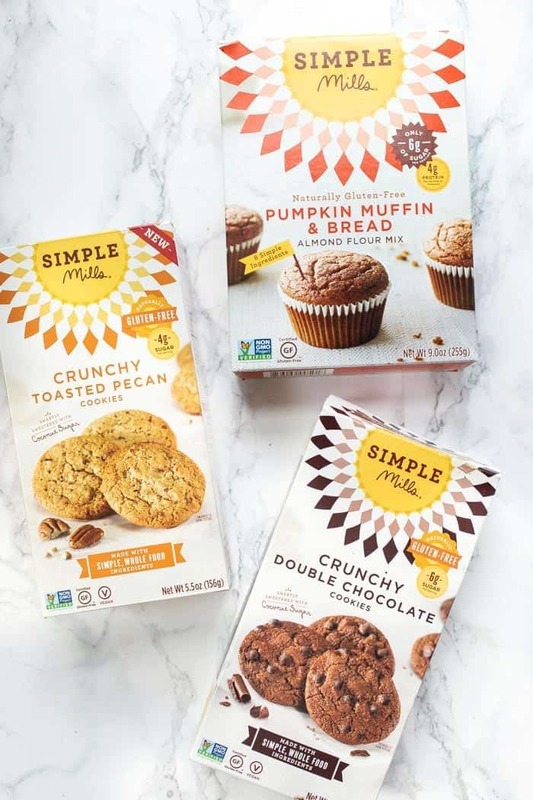 If you're not familiar with Simple Mills, let me just tell you, their products are AH-mazing! They make clean, healthy versions of classic foods you'd find in the center aisles of the grocery stores. Think crackers, cookies, baking mixes, pizza and more. All made with 100% clean ingredients – ones you'd probably even find in your pantry! Best of all? You can find their products on Amazon so even if you don't live near a Whole Foods or another natural grocery store, you can get them shipped right to your door! 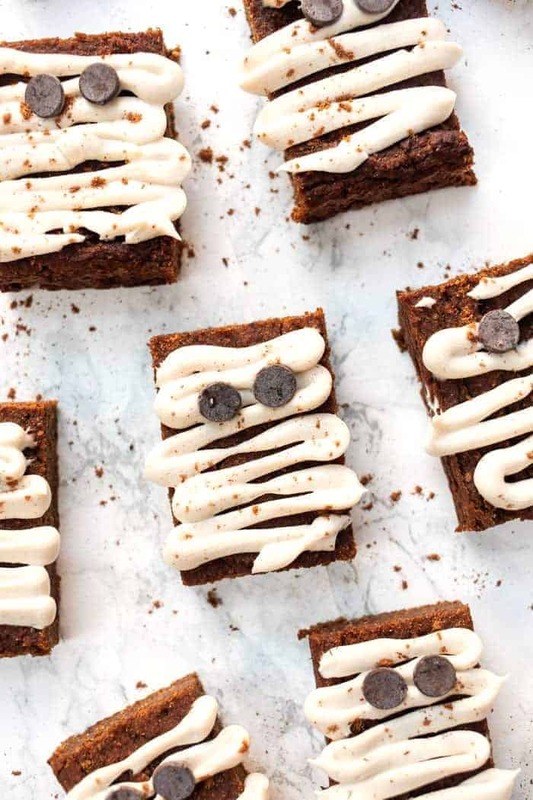 I'm a sucker for all things pumpkin and these mummy pumpkin bars are so cute! We use the Simple Mills pumpkin muffin & bread to make a batch of “brownies” and topping them with a quick vegan cream cheese frosting. 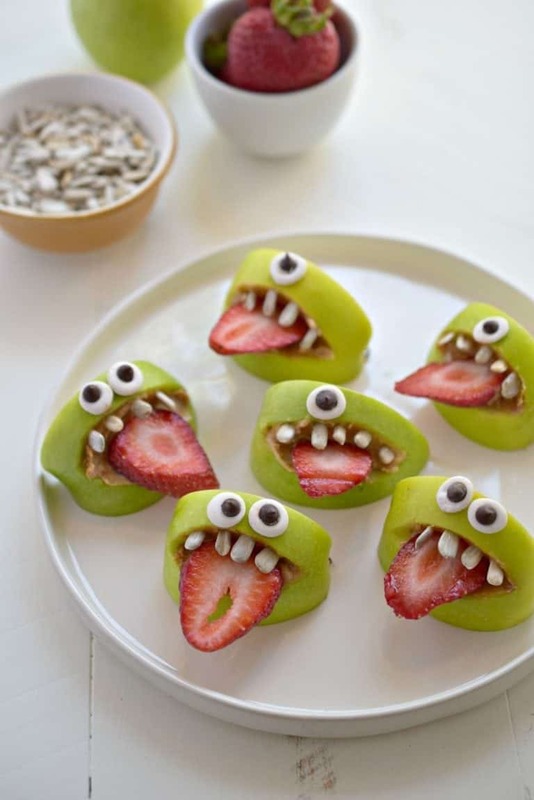 I think these are perfect for a party, as a quick healthy snack and definitely Halloween-friendly! 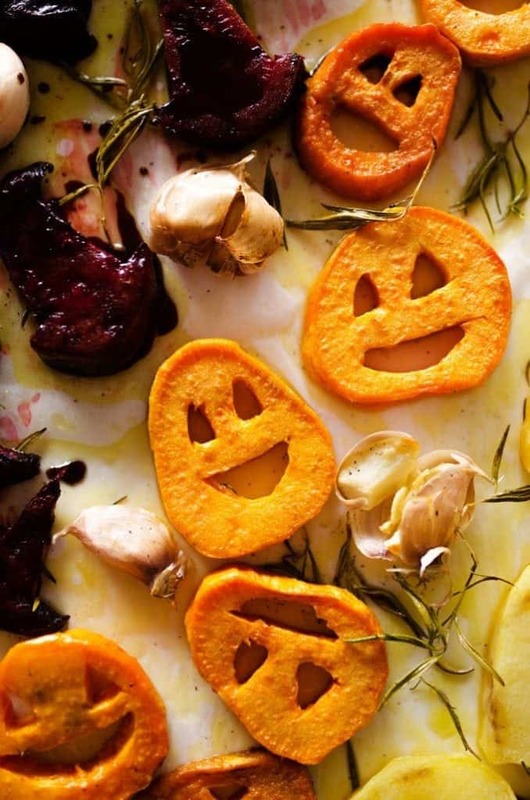 Preheat the oven to 350ºF and line an 8×8 pan with parchment. Stir together the mix, eggs, pumpkin, oil, water and vinegar (if using). Transfer batter to the pan and bake for 35 – 40 minutes. Remove from oven and let cool completely before slicing and frosting. When ready to frost, beat together the cream cheese, syrup and pumpkin pie spice. Add frosting into a piping bag and pipe onto the bars. 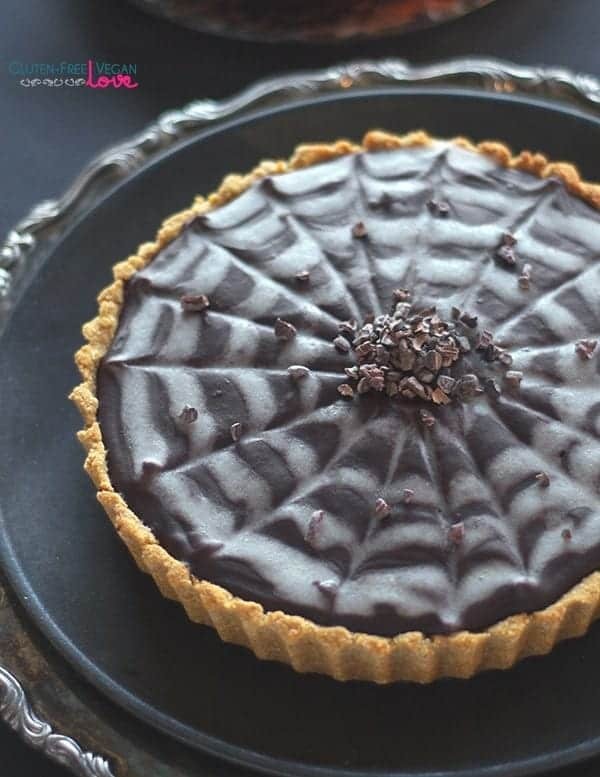 Add chocolate chips for eyes and enjoy! If you're not a fan of matcha lattes (yet! ), this is a great way to get in some energy-boosting ingredients with your smoothie. This healthy Mango Matcha Smoothie is made with two types of greens, avocado, two superfood powders and blended up almond milk. It's nourishing, filling, super tasty and a great way to get a natural boost of energy! Add the cookies into the bowl of a food processor. Pulse to form cookie crumbles. Transfer crumbles to a separate bowl and return the bowl to the base. Add the avocados, cacao, syrup, milk and sea salt and blend on high until smooth and creamy. Transfer the mousse into four jars and top with the cookie crumbles. In a small bowl, toss together the pistachios and matcha together and sprinkle on top the pots. These healthy pumpkin cheesecake parfaits are simple and SO good. 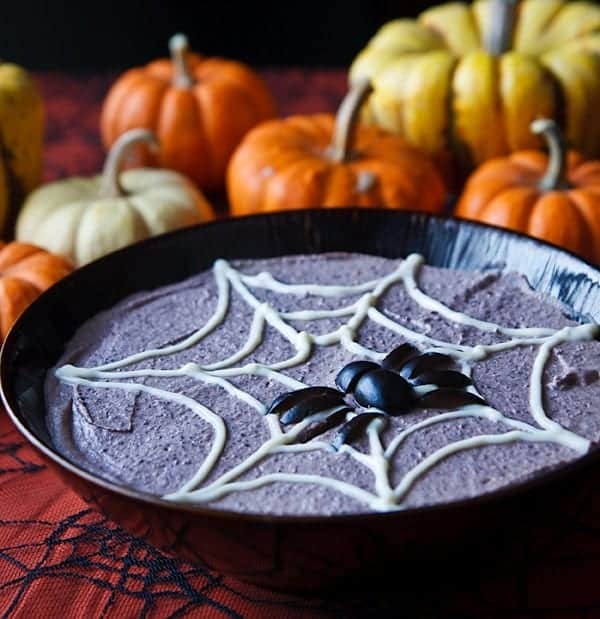 We're making a quick no-bake vegan pumpkin cheesecake as our base, then a layer of coconut yogurt (that's colored with charcoal to be black) and then finally some crunchy cookie pieces. 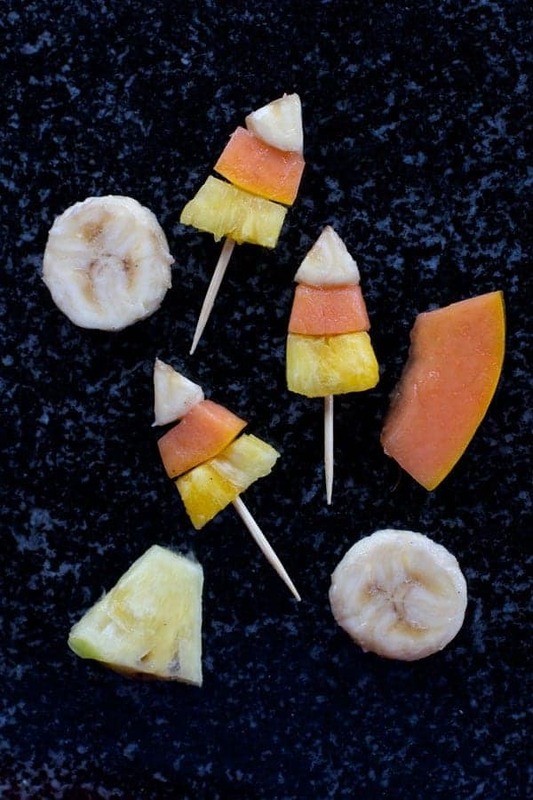 They're fun, super flavorful and perfect all season long! Add soaked cashews, pumpkin, syrup, milk, pumpkin pie spice and salt into a blender. Blend on high until smooth and creamy. In a separate bowl, whisk together the yogurt and charcoal. Finally, add the cookies into a small plastic bag and crush into chunks. Assemble the parfaits with a layer of pumpkin cheesecake, the yogurt and cookies. Repeat until you've used all your ingredients!